The beautiful grounds at Kelmarsh Country Estate, a huge country manor house overlooking a lake, and yes, the sun! Shambala was one of the only festivals last weekend not to be completely washed out with rain, with only some showers hitting the fields and so our wellies mostly stayed in our tents. A welcome change from Secret Garden Party and Green Man! We were based in our little yurtlet, and had lots of shamanic activities for people to try out…. 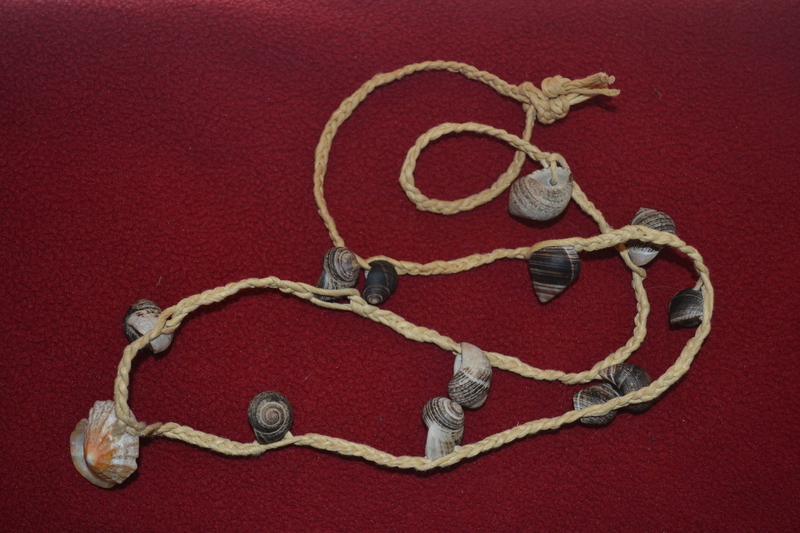 It was the first time that we had our shell-necklace workshops, which went down a storm! Adults and children alike came and re-created their own little necklace based on examples found for example with the Red ‘Lady’ of Paviland. People got the chance to create Paleolithic cave wall paintings and find out their itribe by using archaeological oxygen and strontium isotopes as colour guides, but I think the best bit for Shambala was the dressing up! 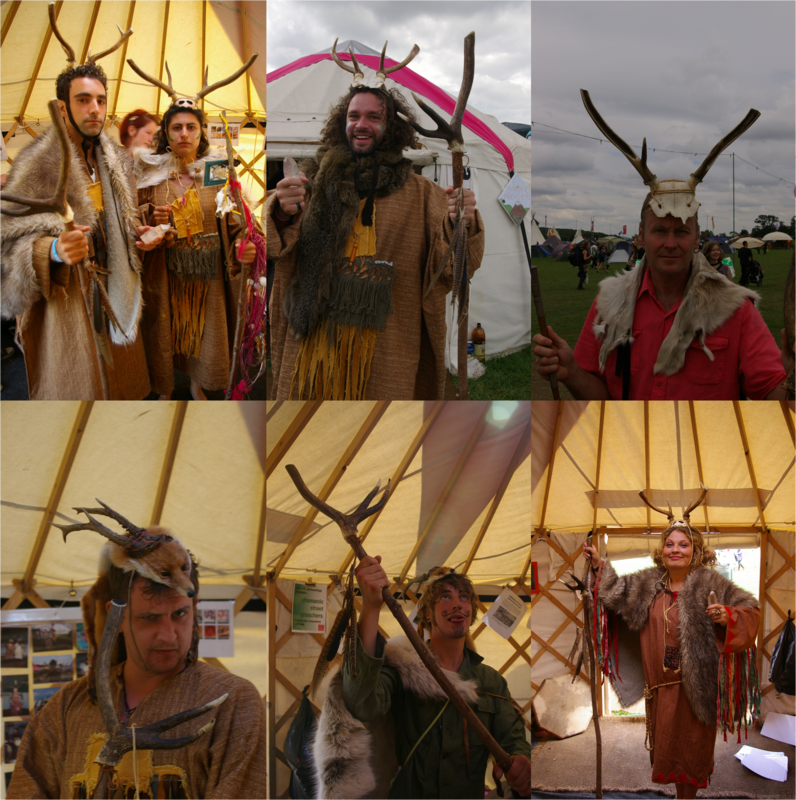 We had LOADS of people coming into our yurt ready to leave the 21st century and go back in time – learning about our Mesolithic antler-headdresses on their way and going shamanic! Check out these shamanic shambalans! 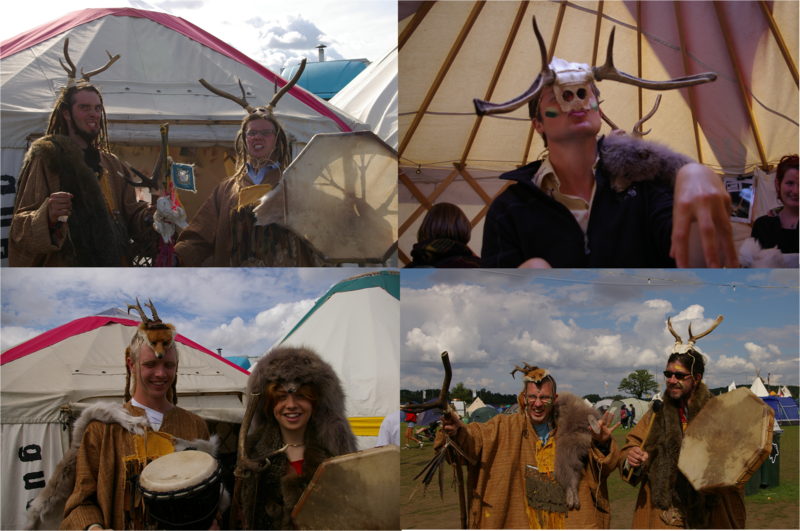 Some of our awesome shamans @ Shambala!